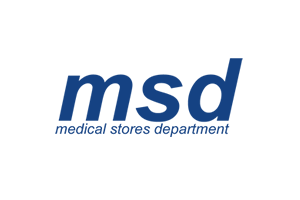 Medical Stores Department (MSD)is a non-profit making and an autonomous strategic government drug store under the Ministry of Health Community Development, Gender, Elderly and Children which was established by an Act of Parliament No.13 of 1993 with an objective of developing and maintaining an efficient and cost – effective system of procurement, storage and distribution of approved medicine and other medical supplies required for use by the public health facilities. It has a zonal network all over the country directly serving 6000 health facilities through an Integrated Logistical System. MSD is at very exciting stage of its reforms towards enhancing its operations, systems and processes as a professional supply chain organization; Driven by the belief that our supply chain must be agile and flexible In order to meet the challenges put forth by the operating environment that is full of uncertainties and dynamic elements. MSD is now looking for skilled, innovative and motivated Tanzanians to implement these structural changes in order to attain the objectives of the medium terms strategic plan. Bachelor of law, registered advocate (international trade law), and not less than three years working experience. Computer knowledge in managing contracts. Holder of Bachelor Degree in Biomedical Engineering. Holder of Diploma in Biomedical Engineering. An attractive package will be offered to the successful candidate for the above position. Interested Tanzanians who meet the minimum requirements of the above position should send their application letters stating how they meet the positions requirements in writing, a CV listing names and contacts of 3 work related referees, 2 current passport size photographs, and copies of their certificates to the address below not later than September 18, 2017. Only shortlisted candidates will be contacted.